Week 8 is highlighted by five games involving ranked teams. This looks good on the surface, but will those games actually prove to be entertaining? The start of a big day in the Big 12. Things have been a little touchy in Norman lately after falling to TCU and being outplayed for a majority of the game against Texas last week. 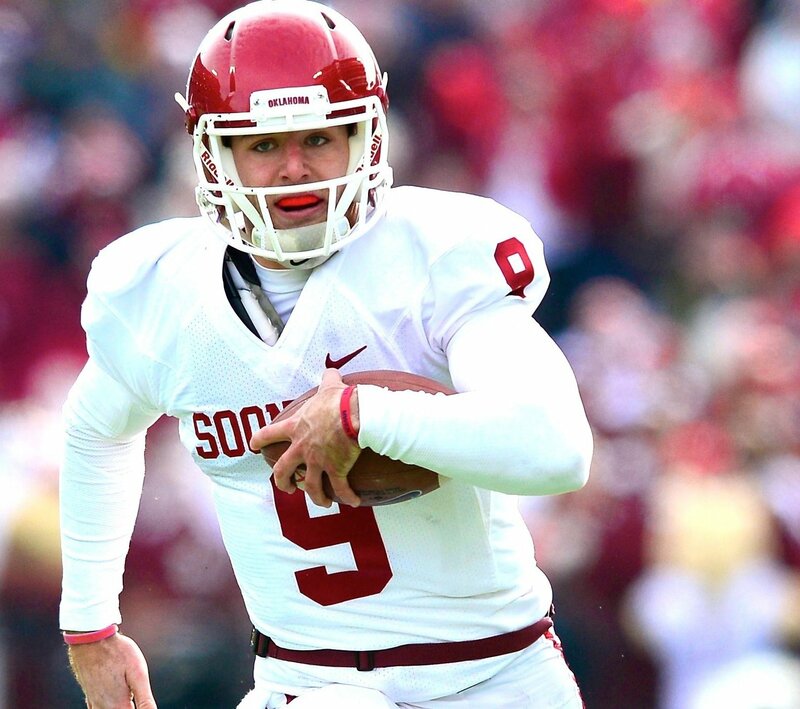 Sooner QB Trevor Knight has been shaky this month, completing just 26-55 (47.3%) in his past two games. Even with those issues, Oklahoma has had some success moving the ball. Knight will look bounce back and get the ball to playmaker Sterling Shepard, who’s averaging more than 100 yards receiving per game. Oklahoma is very explosive – more than 18 percent of their drives average 10 yards/play. Kansas State showed against Auburn that they have the disciplined playmakers to hold down an explosive running game. They’re a little weaker against the pass, but still solid. The Sooners will work to exploit some holes. The other side of the ball is where Oklahoma really has an edge. Kansas State has looked good offensively, but the schedule could allow for some smoke and mirrors. There are a lot of memories of the Wildcats shooting themselves in the foot against Auburn, but the offense had real problems moving the ball. Despite winning the field position battle by a good chunk, they punted three times and Auburn forced three more turnovers, plus a turnover on downs. They had similar problems moving the ball against Iowa State in the middle of the game – remember, they were down 28-13 in the second quarter and didn’t get the lead back until less than two minutes were left. Kansas State has only been able to average 4.5 yards per rushing attempt against average-at-best competition. The Sooners hold opponents to 3.2 yards per carry and are great at getting offenses behind schedule. Plus, they’re back home. I think they start looking like a top 10 team again. Last week, I said the wheels were about to fall off in College Station. This really isn’t their fault. The media bought into them hook, line, and sinker after the opening night blowout; no one knew that South Carolina would be this bad. They could be stepping into it against Alabama again this weekend though. We know the Aggies defense is bad. They haven’t played a murderer’s row overall, yet more than 20 percent of the drives against them average 10+ yards/play. They also give up 189 yards per game on the ground; Alabama should be licking their chops thinking about how many yards T.J. Yeldon and Derrick Henry could go for. When Texas A&M closes down the box, Amari Cooper will run right past their safeties for an easy six. Texas A&M’s only chance relies on Kenny Hill finding his South Carolina form. That’ll be tricky though; Alabama may not be Ole Miss, but they’re still fast and physical. They give up less than 70 rushing yards/game, and though you can throw on them, but it has to be vertical, and you have to be accurate. Horizontal throws will get swallowed up by Bama’s speed. Last week, Hill completed 15 of his first 16 passes, but only three of them went for more than 10 yards. The incompletion was a downfield throw that Ole Miss took for a pick six. 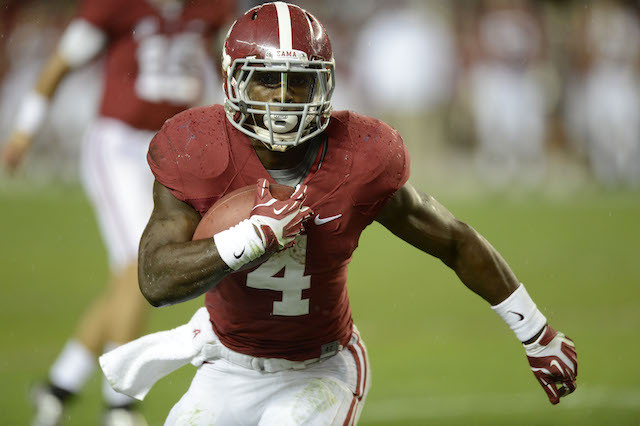 Alabama is capable of doing exactly what Ole Miss did to the Aggies. After a poor game last week against Arkansas, they’ll be looking for a statement. Oklahoma State opened the year with a competitive loss to Florida State and have followed it up with mixed results against dud teams. They were involved in a shootout at home against a mediocre Texas Tech team, didn’t separate from Iowa State until the second half, and were really close to only scoring 6 points in the first half. Then last week, they didn’t even crack 300 yards in total offense at Kansas, escaping 27-20. The offense was shut out in the second half; the Cowboys needed a kick return with six minutes to play to break a tie. Those second half drives went: INT, punt, fumble, punt, punt, punt. It’s possible the Cowboys were bored playing their third Big 12 bottom feeder in a row and looking ahead to this big game. 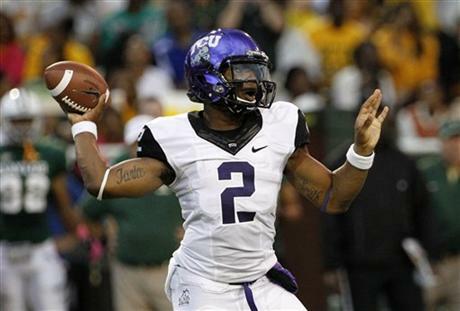 It’s true that TCU is in a letdown spot after blowing a 21-point fourth quarter lead to Baylor last week. It doesn’t matter. This Oklahoma State ranking appears to be part of the magic of the schedule. They’re about to get into the meat of their season, and they don’t look like they’ve improved past week one. TCU gets a decisive bounce-back at home, and Oklahoma State is brought back to reality a little bit. AARON’S CORNER OF BIAS WARNING: A lot has been made of Everett Golson’s turnover problem stemming from the last three games. To be sure, the four interceptions are a problem and cannot happen. The real backbreaker, however, is the five fumbles. These don’t come through mistakes made in reading the defense. They come in carelessness. Golson has shown flashes of brilliance. He must be basically perfect in order to cope with the Florida State speed come Saturday. Notre Dame will also have to show some capabilities to run the ball in order to set up the play-action. Receivers Will Fuller and Chris Brown both have abilities to stretch the field, but defense have taken that away recently, opting to give Notre Dame shorter underneath routes. It will be interesting to see how Florida State decides to play the Irish passing attack. On the other side of the ball, we know what the Seminoles want to do. Jameis Winston is completing 70 percent of his passes and averaging more than 300 yards/game. His favorite target, Rashad Greene, has 44 catches for 683 yards this season. They’re not quite as big as last year, but they’re still fast and still talented as all get-out. Look for Notre Dame to continue their mixing coverages and using overload blitzes to try and confuse Winston. The defense had a bad week last week against North Carolina, but it was also a little deceptive. Golson’s turnovers essentially spotted the Tar Heels 19 points, and Florida State will not come close to running the same tempo attack. I’ll be sick in my corner until this one’s over. What a weird nightcap, eh? The Pac-12 continues to eat it’s own. Stanford’s defense, of course, is the best unit on the field and one of the three best defenses in the nation (the other two are Ole Miss and – surprisingly – Louisville). They have a bit of a bend-don’t-break philosophy, but are great at keeping big plays at bay and forcing you to grind out yards. Arizona State is fairly one-dimensional – their rushing S&P+ of 96.4 ranks 84th in the nation, and they could only muster 31 rushing yards against USC. Boston College had 452 rushing yards against the Trojans. Starting QB Taylor Kelly is expected back from injury, but that won’t make much of a difference in terms of opening up the running game. Not against Stanford. 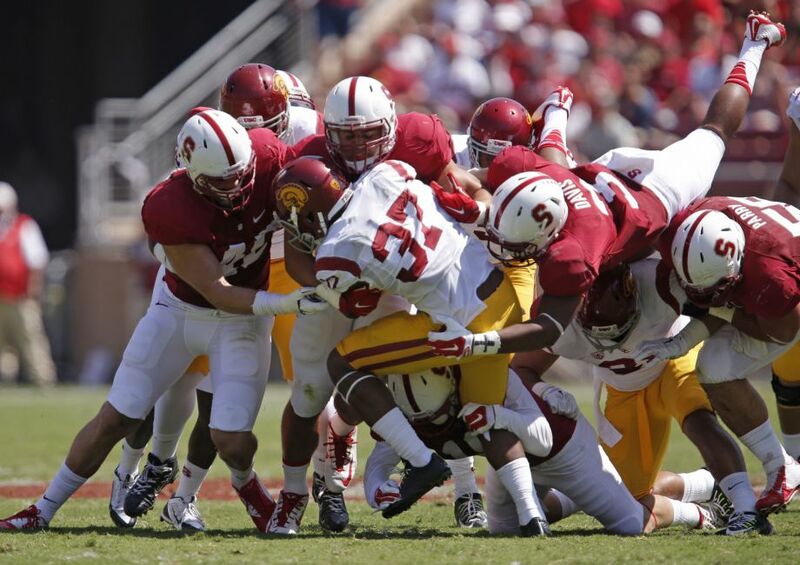 As good as Stanford’s defense is, the offense has woes. The Cardinal have taken pride in being a line-em-up, beat-em-down rushing attack under Brian Shaw, but are only averaging a tick over 150 yards rushing per game. Against Power 5 competition, they’re averaging just 3.9 yards/carry. Arizona State’s defense has been a sieve for most of the year, but Washington and Washington State don’t have world-beating defenses either. Stanford also has the best athlete in the game in WR Ty Montgomery. The defense will certainly keep them in the game; it’s time for the offense to step up. Well, I like TV and movies and I love sports. So expect a lot about that.